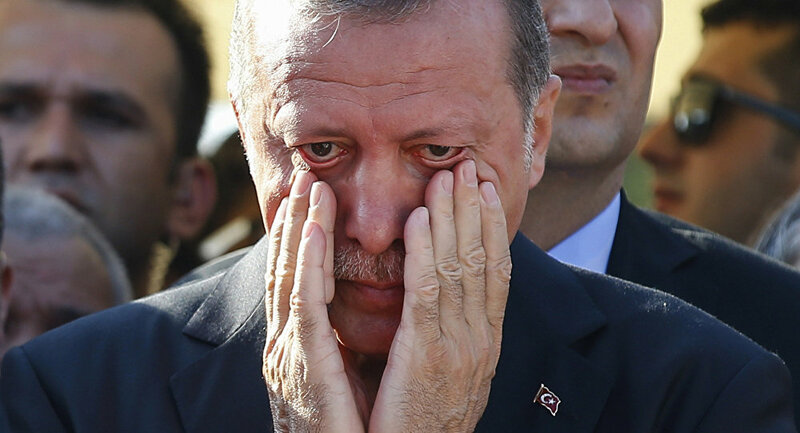 "The Erdogan regime cannot survive if it continues create bad relations with all of its potential major partners and neighbors," Sleboda told Loud & Clear hosts Brian Becker and John Kiriakou. ​"Turkey, as a NATO member, has moved away and become very close to a confrontation with the US," the analyst said, pointing to Ankara's support of the Free Syrian Army and opposition to the US-backed Kurdish YPG militia. What's more, Turkish forces are carving out plots of territory in northern Syria, "presumably as some part of neo-Ottoman conquest," a move that does little to respect the sovereign territory of the Damascus government, Sleboda noted. Erdogan's offensive against Kurds in Syria's Afrin district, ironically dubbed Operation Olive Branch, is seen as a counterrorism operation by Erdogan's government. A spokesman for Turkey's president said Thursday "every step taken in support for the YPG terror organization would mean [any forces intervening on the Kurdish militants' side] are on the same level as terror organizations. And for us, that would make them legitimate targets." This was a less-than-subtle threat to Washington, which sees the Kurds as the most effective anti-Daesh force, and Damascus, which is sending troops to Afrin to protect Syria's territorial sovereignty. ​Then, "add the long-standing grievances between [Turkey] and Greece that have now resurfaced; [add the] animosities with Iraq, Turkey having sent military forces into northwestern Iraq against the wishes of the government in Baghdad," he said. Ankara also recently sent naval ships into Cyprus' exclusive economic zone, angering Greece and Egypt. "Turkey has managed to alienate nearly all of its previous allies and its neighbors. We're talking the United States, Russia and the European Union, as well as all of its neighborhood countries." "This is not a good thing" if the Turkish people would like Erdogan to continue serving at the helm, the analyst said. What Does Turkey's Operation in Syria Tell Us About Erdogan's Government?